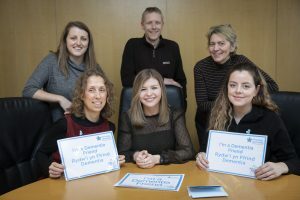 South Caernarfon Creameries launch campaign to support people with dementia | News by Wales Express News, People Before Profit! 6 – South Caernarfon Creameries Ltd staff who took part in a Dementia Friends training. 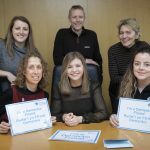 Pictured are Haf Williams, with trainer Helen Marchant, and fellow staff members Branwen Jones, Megi Williams, Dylan Thomas and Tracey Burr.